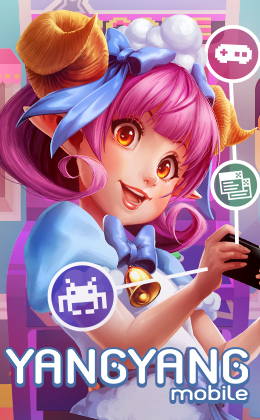 Yangyang Mobile is an indie company specializing in video games and mobile apps development. 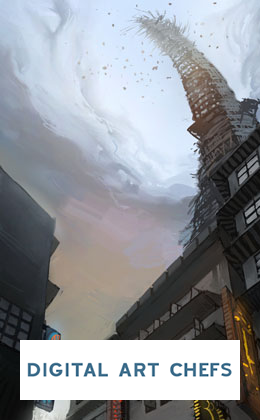 The company focuses on creating original IPs, while doing outsourcing on the side. Its HQ in the Philippines is run by a group of passionate individuals who live off creativity and pizza! 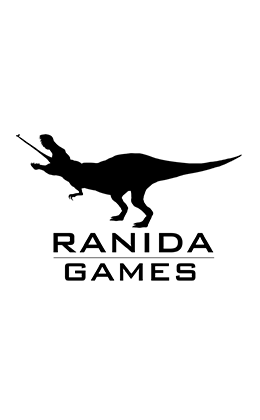 Top Peg Animation & Creative Studio Inc.
Ranida Games is an indie game development studio based in San Pedro, Laguna, Philippines. Composed of industry experts who have been developing high quality games for the local & global market across mobile, web, PC, and even console platforms. 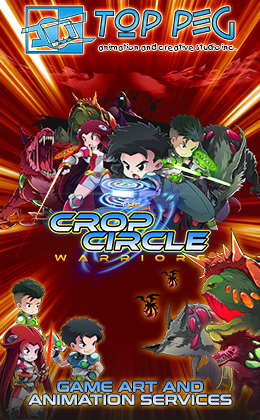 Has produced massive hits and popular online flash game franchises such as Sniper Assassin and Dragon Slayers. The team responsible for the design and development of Q*Bert: Rebooted for PC and PlayStation and the official game developer of the Philippine Basketball Association. 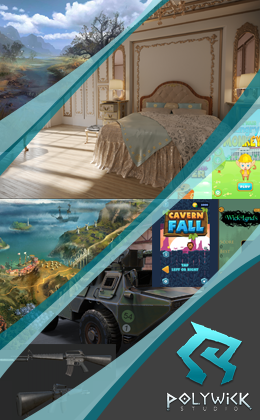 Polywick Studio is a game development studio and also do outsourcing. 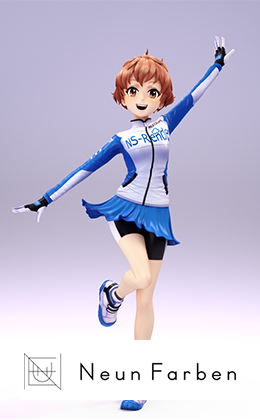 Fandom is a software development studio focused on creating games for mobile devices. Fandom, Inc. was first established in January 2005 as a venue to gather the creative minds of the Philippine science fiction and fantasy community, the New Worlds Alliance. From there Fandom evolved to a software solutions and gaming company composed of game aficionados, creative artists, and avid developers, while backed by a management team that each has more than 15 years of vast IT industry knowledge and experience. CHEQ SYSTEM INC. is a pioneer in Independent Software Quality Engineering Service provider in the Philippines for 15 years. We provide full time independent software Testing/QA manages services across industries and have accumulated more than 3 million hours. Our Software Quality Engineers are all regular employees enjoying career developments, Benefits, and world class training and development. 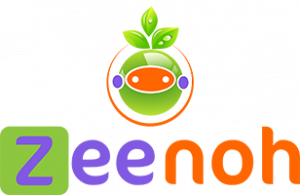 Zeenoh is a distinguished Filipino Entertainment Software and Video Game company based in Manila, Philippines. Zeenoh was founded in 2008 and incorporated in 2014 with specialization on software engineering, digital media/ digital arts and animation. 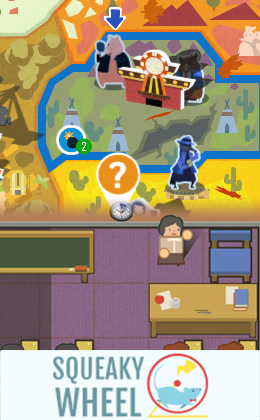 Zeenoh is also a leading figure in game development among local companies in the Philippines. 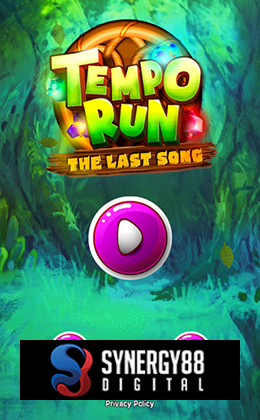 From being a third-party provider working on licensed games, Zeenoh began producing original IP content by developing mobile application gaming content in 2010. 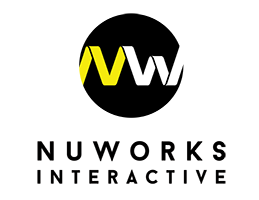 In 2016, the company has partnered with Sony Interactive Entertainment as a developer for its Playstation network and launched Nightfall Series on Steam (PC) and Oculus (VR). Zeenoh is currently in the process of developing more upcoming IP’s on various platform and technology. We're an award-winning company that builds for Android, iOS and the Web. Our apps have been featured on the App Store. We offer the world's finest handcrafted design and development. What are you waiting for? You'll talk, we'll listen. 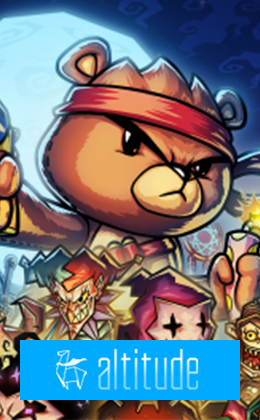 Kooapps is an indie mobile game design and development studio based in the Philippines. We are the makers of top-selling games Pictoword and Pocket Family. 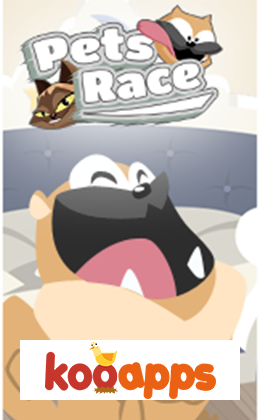 The team is composed of young and passionate professionals who take games seriously. We make games we want to show our friends. 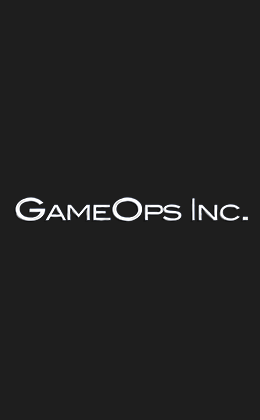 Leader in the development and publishing of mobile games, Gameloft® has established itself as one of the top innovators in its field since 2000. Gameloft creates games for all digital platforms and with an audience of 140 million monthly users offers via Gameloft Advertising Solutions a unique level of visibility and involvement to advertisers. 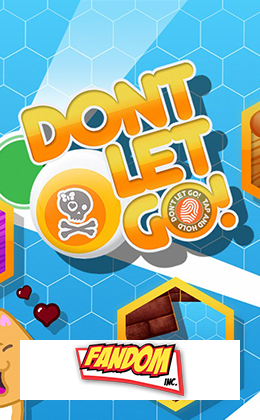 Gameloft operates its own established franchises and also partners with major rights holders. Gameloft is a Vivendi company. Our passion is storyteching; telling and moving human stories through creative technology. We're crazy about stories. And so, in a tech-driven industry, we're putting humanity at the core of everything that we do. Led by creativity, disciplined by strategies and equipped with technology, our goal is to create campaigns that will inspire and move people. 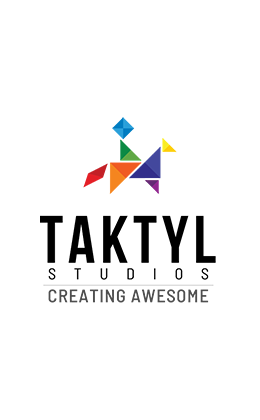 Altitude Games was founded in 2014 by veterans of the Southeast Asian game industry. Our mission: to bring the best Asian mobile games to the rest of the world. We are proudly composed of the best talent in the region -- currently 30+ developers and still growing! 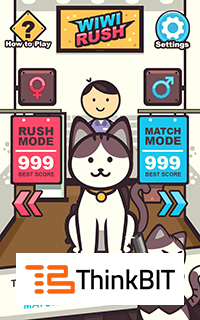 gumi Asia Pte Ltd is a fully owned subsidiary of gumi Inc. We are a mobile social game developer with our sights set on providing entertainment and excitement to users worldwide. We believe in fostering the talents of young artists with a passion for the latest trends in art and gaming. 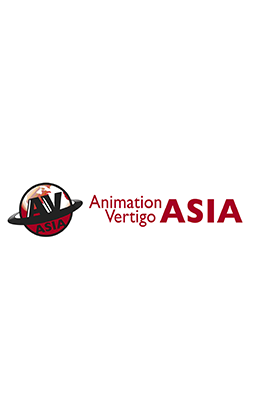 Assistasia Philippines, Inc., with 8 years of solid presence in the gaming industry, is a video game production company known for creating quality 2D and 3D production. 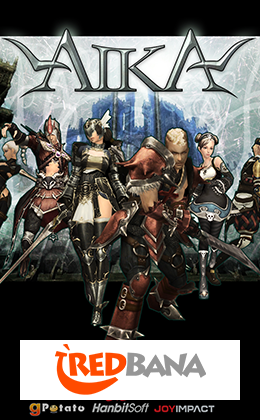 Founded in Tokyo, Japan on 2009, Assistasia's founders welcomed Filipino artists while becoming a trusted name in the industry acquiring various clients, including leading Japanese video game companies such as Square Enix and Other leading companies. We envision to widen the reach of our services to various clients here in the Philippines and other countries as well. 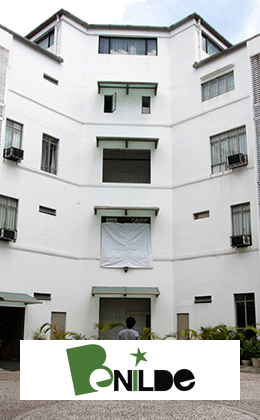 Here in Assistasia, we are dedicated in delivering high quality work production worth every client's cent. We empower and give unwavering support to each of our artists'creative growth. 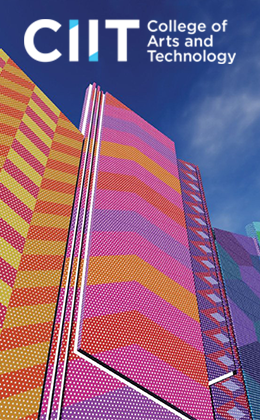 Neun Farben Corporation is an international computer animation studio that aims to create high-end computer graphics and visual effects for films, commercials, promotional videos, animated short films, VR, video games, and web sites. Artistryware, Inc. brings together decades of expertise in various entertainment venues from cinemas and television to them parks and interactive experiences. We are highly committed in providing feature enriched applications from hardware to software and for all types of software platforms. We are an IT Solutions company that specializes in mobile app and website development. 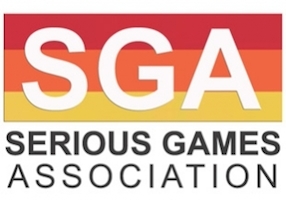 The Serious Games Association (SGA) is an international trade organization serving the entire serious games industry. Its members include developers, publishers, technology providers, analysts, authors, consultants, faculty and other professionals. 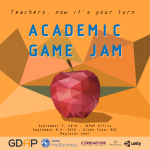 Its members are involved in the making of games and sims for education or at home learning, corporate training and marketing, government and military uses, healthcare and medical training and games that are designed to create positive change in the society. The association produces educational conferences and research and provides support to special interest groups (SIGs) and committees studying how to move the industry ahead. 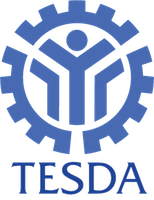 The Technical Education and Skills Development Authority (TESDA) is the government agency tasked to manage and supervise technical education and skills development (TESD) in the Philippines. It was created by virtue of Republic Act 7796, otherwise known as the "Technical Education and Skills Development Act of 1994". 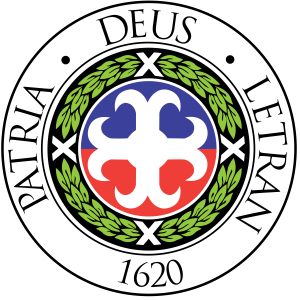 The said Act integrated the functions of the former National Manpower and Youth Council (NMYC), the Bureau of Technical-Vocational Education of the Department of Education, Culture and Sports (BTVE-DECS) and the Office of Apprenticeship of the Department of Labor and Employment (DOLE). 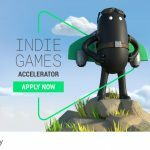 Be the change that you wish to see in the world.” ―Mahatma Gandhi The International Game Developers Association exists to advance the careers and enhance the lives of game developers, and one critical way it does this is by advocating for positive change around issues that affect professional game developers. 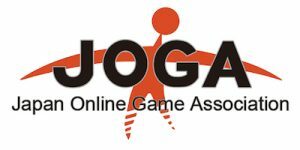 Japan Online Game Association is a network game group. Its members are online game publishers and online game developers including MMO games, Browser games, PC social games and Smartphone native Apps. 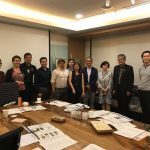 The Information Technology and Business Processing Association of the Philippines (IBPAP) is the enabling association for the IT-BPO and GIC (Global In-House Center) industry in the Philippines. Their name has been amended from BPAP to IBPAP last March 2013. IBPAP serves as the one-stop information and advocacy gateway for the industry. 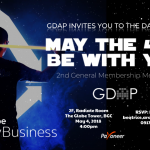 With approximately 300 industry and support-industry members, including five associations—the Animation Council of the Philippines, Contact Center Association of the Philippines, Game Developers Association of the Philippines, Healthcare Information Management Outsourcing Association of the Philippines, and Philippine Software Industry Association—IBPAP plays a pivotal role in sustaining rapid growth of the IT-BPO and GIC industry by working to ensure an enduring supply of high quality labour, supporting service innovation, and providing country visibility. IBPAP assists investors in setting up operations easily and quickly in the Philippines. Relevant research, introductions to key government and industry officials, and a series of briefings at each step of the investment process ensure a seamless development process. Ongoing support is provided through a wide variety of initiatives, including programs for HR development, business development, knowledge sharing, and networking opportunities. 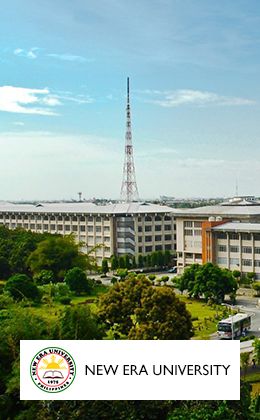 The Information and Communications Technology Office (ICTO) of the Department of Science and Technology (DOST) was created through Executive Order (EO) 47 which transferred the former Commission on Information and Communications Technology (CICT) from the Office of the President to the DOST. 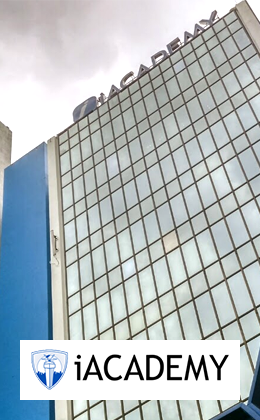 The ICTO is tasked to be the lead implementing agency of Government in all most of its ICT related efforts such as industry development, policy formulation, ICT infrastructure development, R&D, ICT capacity building for the public sector and administration of the E-Governance Fund. The ICTO’s primary thrusts for 2011 – 2016 are in the areas of ICT Industry Development, E-Government, ICT Policy Development, ICT Infrastructure and Cybersecurity. Much of these directions are in line with the Philippine Digital Strategy, the Philippine Government's master plan on how to actively use information and communications technology in promoting economic and social growth, and in promoting efficiency in the delivery of public service. The Office is currently headed by Executive Director Louis Napoleon C. Casambre. 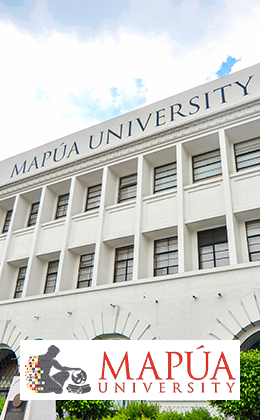 The Mapúa University offers its students professional and advanced scientific and engineering education with a healthy dose of the arts, letters, philosophy and social sciences to form men and women who shall possess not only technological expertise but also the human values and perspective that promote moral development. 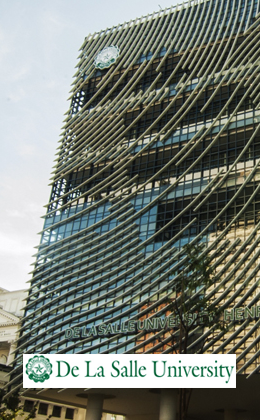 FEU Institute of Technology (formerly FEU – East Asia College) is a vibrant community of technology scholars and professionals seeking to serve the Nation, the Industry, and the World. 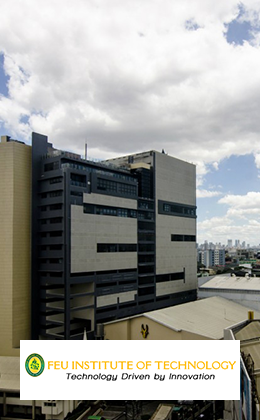 CIIT Philippines promotes high quality, industry-based teaching. We started by offering two-year job-related courses in Graphic Design, Multimedia Application, Software Engineering, and Network Design. Our teaching staff consists mostly of active industry pros who share first-rate knowledge and skills. Along with them, we always improve our programs to make them more relevant to current trade needs. CIIT has partnered with famous players such as Adobe Systems, Autodesk, and WACOM, among others, for the latest software and learning tools. These give students a complete and inspiring learning experience that prepares them for the demands of the work. 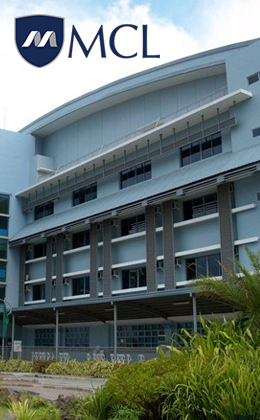 Asia Pacific College (APC) has been the school of choice for students aspiring for excellence in ICT Education. Recognized as a Center of Excellence in I.T. education, APC has grown from a mere I.T. training center for corporate employees to one of the premiere colleges in the country. 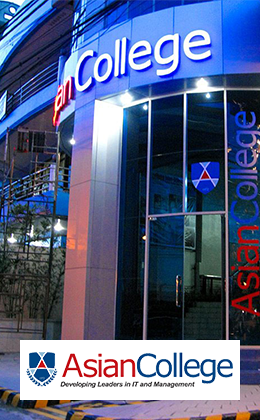 Additionally, APC is also a Center of Development in Computer Engineering and an Autonomous Higher Education Institution. The College is committed to produce lifelong learners and to be the best in their chosen fields. With project-based learning and intensive industry training, APC graduates have the edge in adapting real learning experiences into ways to excel and succeed in their chosen careers. 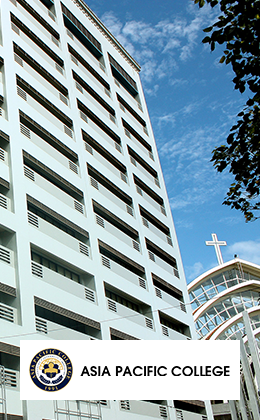 New Era University is a private, non-sectarian educational institution established by the Iglesia ni Cristo in 1975. It aims to develop among its students academic excellence, professional responsibility and social awareness founded on genuine Christian principles. We are committed to producing future trailblazers and game changers in the industry through programs that provide a balance of theory-based and experience-based learning opportunities. With guidance from a faculty of practicing professionals and a 960-hour internship program with our prestigious partner companies, students are able to gain industry-relevant knowledge and training that will make them assets to future employers. 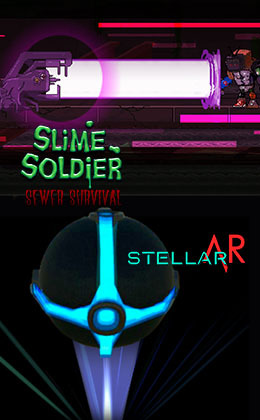 Squeaky Wheel Studio is an independent game development company based in the Philippines that aims to be a developer of thematically unique PC strategy and simulation games.